I hope you have been enjoying our series on organization. Every time we do one of these series I find new ideas from the team that I want to try! Today we are looking at card stock and patterned paper. 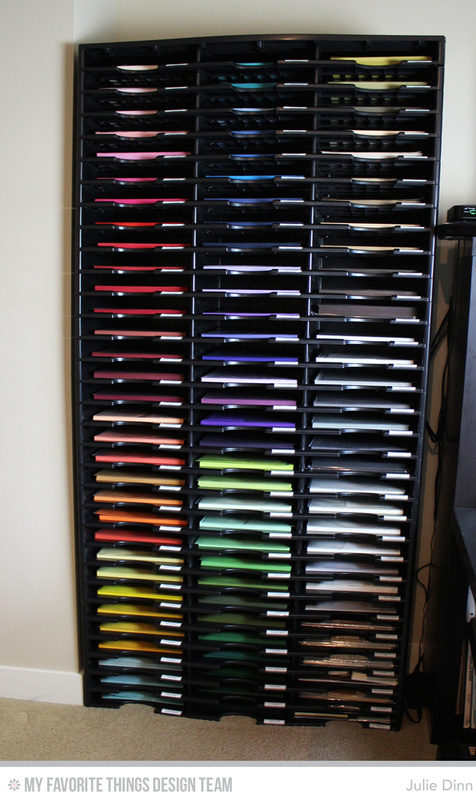 I store my card stock in four of these Storex 24 Compartment Literature Organizers. I had looked at a number of different options, and finally decided on these and I love them! One of my favourite things about them is that I can switch up the configuration of them depending on my needs. This is how my paper is currently stored. The stack is probably close to 7 feet high. 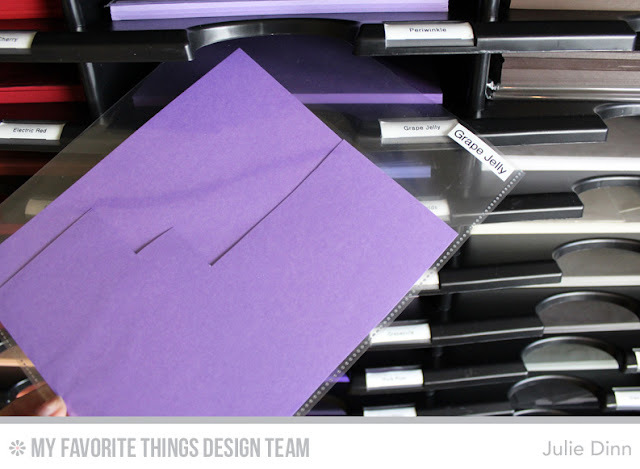 I store one color of card stock in each slot. On top of the pile of card stock I have a page protector labeled with the name of the color. I store all my scraps for that color in the page protector. I love having my scraps with the full sheets of card stock, I find it helps me to use the scraps up first instead of reaching for full sheets. I have a few slots that are used for my speciality papers. Below is a picture of my Silver slot. I store these papers in their original packaging. 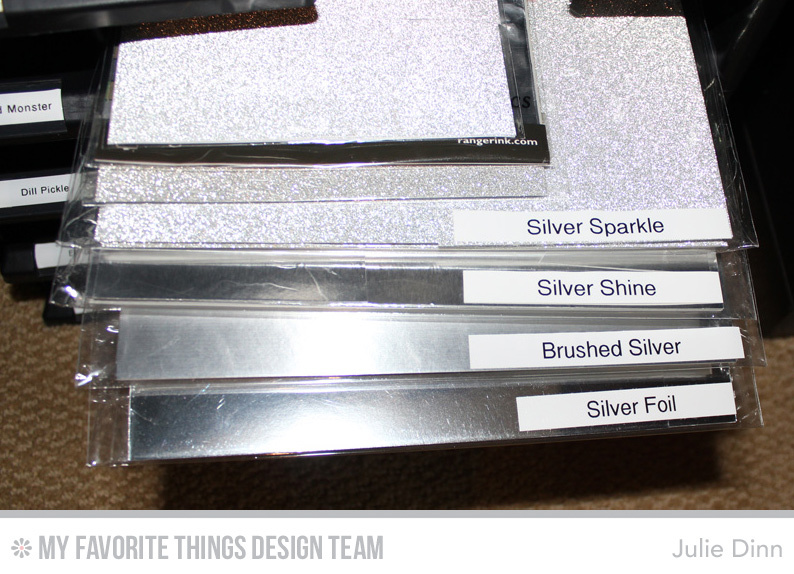 I use my label maker to label each pack for easy identification. I store my 6x6 patterned paper packs in the clear fridge bins. 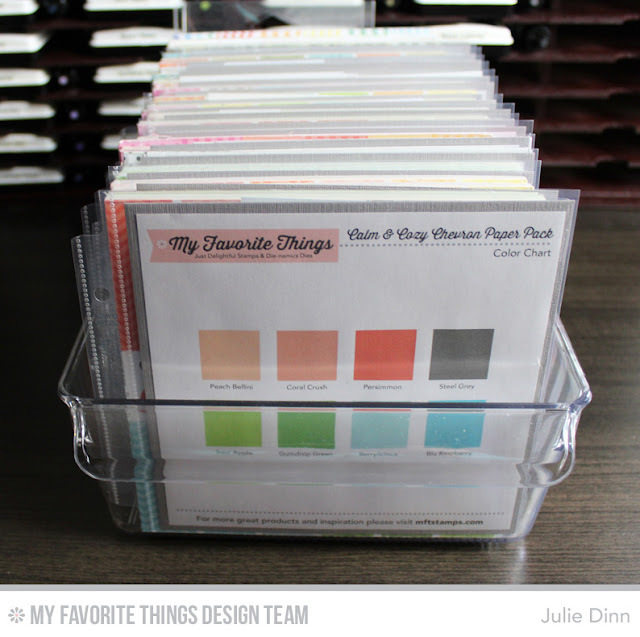 These are the same bins that I use for my background stamps and stencils. When I purchase a paper pack I always buy two of them, because there is always one print that I use more than the others and I don't like running out of it. The pads are all in alphabetical order and they are separated by dividers. 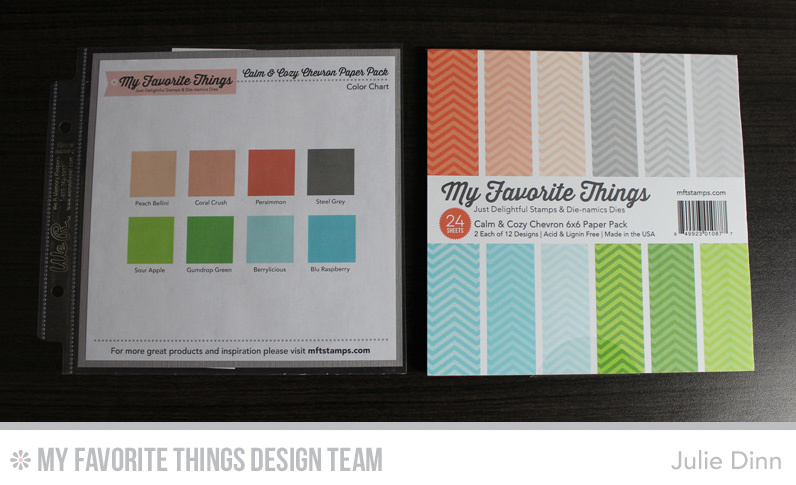 To create the dividers I print off the Patterned Paper Packs Reference Guides from the MFT Blog. These can be found in the Resources Section. There are two sizes available, I use the 5 3/4" square size. I cut the printable down to the 5 3/4 square and then I adhere it to a piece of grey card stock. This is then slid into one of the 6x6 Page Protectors. I keep this divider in front of each different paper pack. 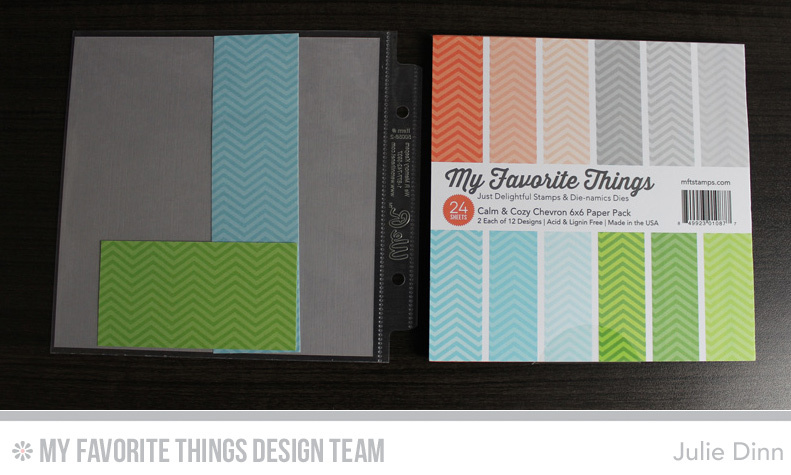 I love knowing exactly what colors of card stock coordinate with the patterned paper. I also use the divider pocket to store my scraps of patterned paper. I can look in the pocket to see if I have a scrap available before I grab a full piece of paper. Thank you for joining me again today. 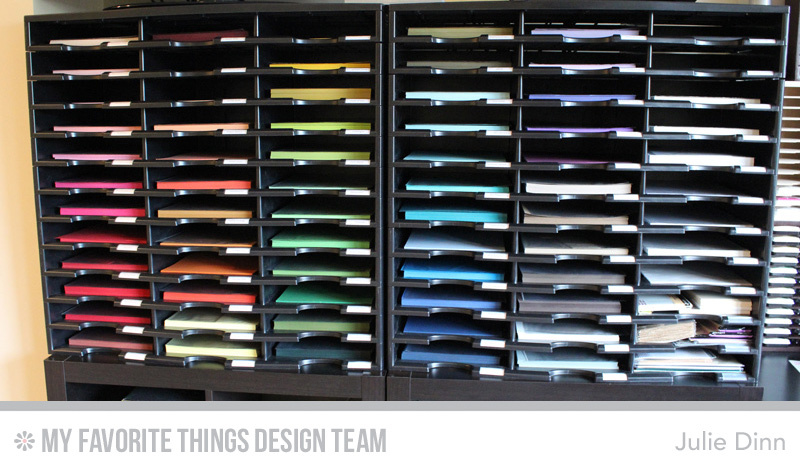 Be sure to check out the MFT Blog to see how the rest of the team stores their paper. Be sure to come back tomorrow as we will be sharing a peek of our stamping areas. I really like how you keep track of your patterned paper scraps!